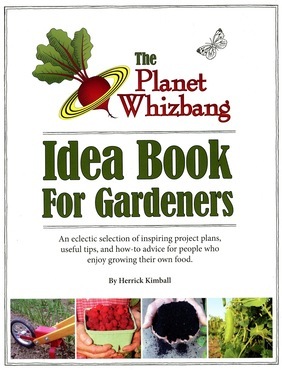 [Herrick Kimball] A handy book of easy-to-follow DIY projects and advice for the frugal gardener, with historical gardening tidbits interspersed throughout. Includes plans such as how to make your own wheel hoe, how to harvest and use wood stove biochar, and how to make your own T-Post trellising. Useful for the experienced gardener looking to upgrade their technique in an economical fashion or for the newer gardener looking to dabble in practical, creative garden projects. Softcover, 124 pp.